Heat butter in a large nonstick skillet over medium heat, and cook the onion and jalapenos until the onion is translucent, about 5 minutes; stir in the cream cheese in chunks, and allow cream cheese to melt and soften. Stir the cream cheese into the vegetables, and mix in 1/2 teaspoon of cayenne pepper, 1 tablespoon of garlic powder, the paprika, chili powder, and cumin. Mix in the cooked chicken meat; remove from heat. 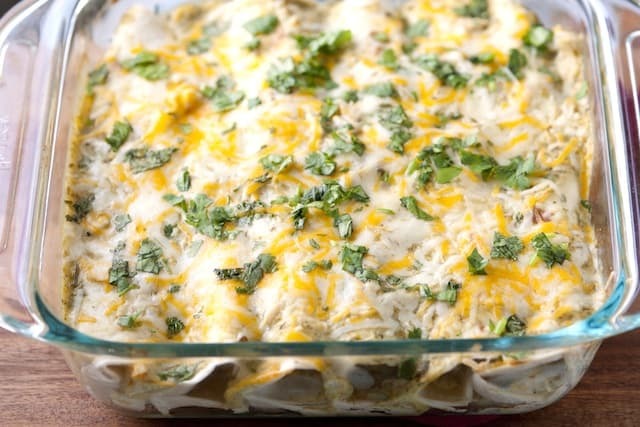 No comments for: "Jalapeno Cream Cheese Chicken Enchiladas Recipe"